We sell complete package only. Our Products Biomass Fuel Pellet Plant, Pellet Fuelled Cook Stove and Pellet Burners are available to district level Franchisee. 1. 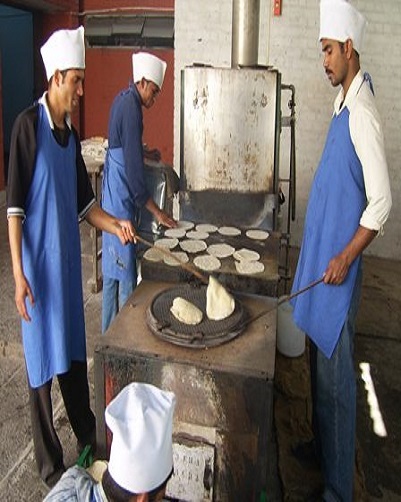 Profitable in first 12 months with only 50 stoves in operation. 2. Income is 100% tax free for first 5 years U/S 80JJA. 3. Sales tax exemption in (Rajasthan Click here for details) (Maharashtra Click here for details) (Uttarakhand Click here for details) and many more states are following. 4. Use any type of biomass to make high density low fine pellets. 5. All technical training from us. Non technical person can operate plant with 10-15 days training. 6. Loan can be availed under Government of India’s Standup India Schemes Click here for details . 8. Our pellet stove is world’s first of its kind. Patent is applied. 9. Easy adoption of stove by clients as we advise our FRANCHISEE not to sell stoves, give stoves FREE TO USE and sell pellet only. 10. 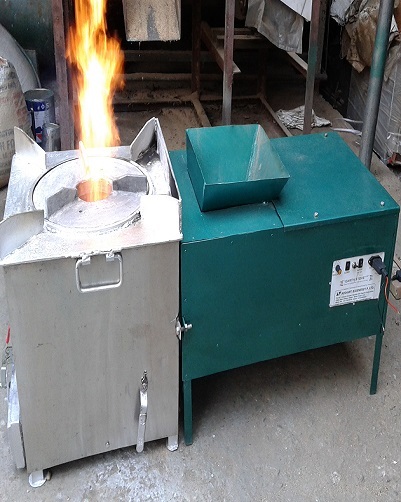 Franchisee can also sell /install/give our low cost NISHANT PELLET BURNER NPB (50000 Kcal/hr to 500000 Kcal/hr) in local industry for selling fuel pellet in bulk. Nishant Bioenergy has credit of establishing India’ first biomass fuel pellet plant in the year 1998! The project was set up under R&D grant from ministry of science and technology, Government of India near Chandigarh through Essaar Energies (http://www.tifac.org.in/index.php?option=com_researchviewdetail&researchID=38&Itemid=204 ). 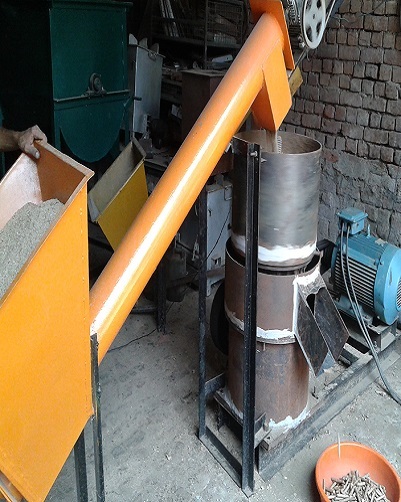 This has given ample expertise in pelleting technology and the result is very innovative Biomass Fuel Pellet Plant which can use any type of biomass to make high density, low fine fuel pellets best suited for COOK STOVES and PELLET BURNERS. As on date we have established more than 12 Fuel Pellet Plants in India and abroad. The commercial fields where our PATENT PEDNING stoves are successfully used are an unending list. To list a few : Factories Canteens, Hostels of school/college/universities, snacks manufacturers at sweet shops, Community cooking like religious kitchens and marriages, Highway or roadside eateries/dhabas and many more. 2. Carbon neutral – Our solution give clients to use carbon neutral cooking while replacing non sustainable fossil fuels which are cause of global warming. 3. Best Controls- Earth Stove ES4D AF provide ultimate control on heat output and can be operated at various temperatures thus can be used for any type of cooking/frying. It can be said that it is like LPG. 4. Safe of Operations – Combustion of fuel pellet is very safe and there is no hazards as compared to LPG. LPG user needs to adopt stringent guidelines to avoid BLAST/FIRE hazards. 5. 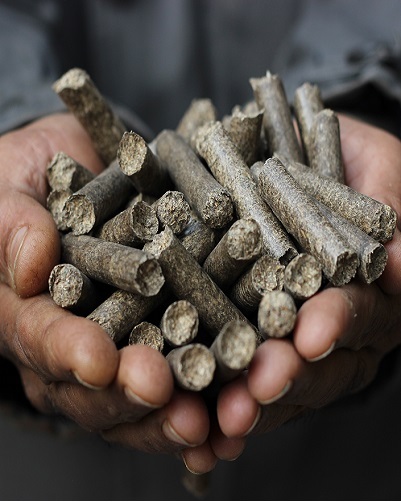 Ease of availability – The biomass fuel pellets are easily available near to consumers as manufacturer is selling directly. 6. Tastes better – Food cooked tastes better as compared to food cooked using other fossil fuels. 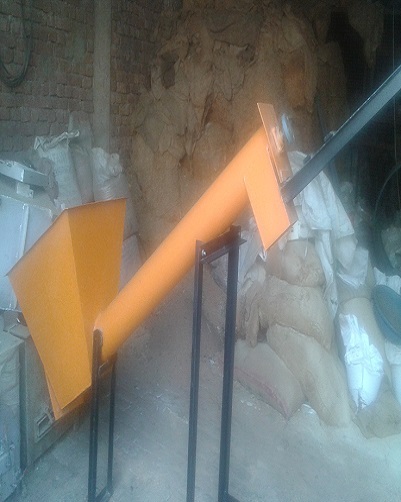 Nishant Pellet Burner (NPB) are built with state of the art technology. 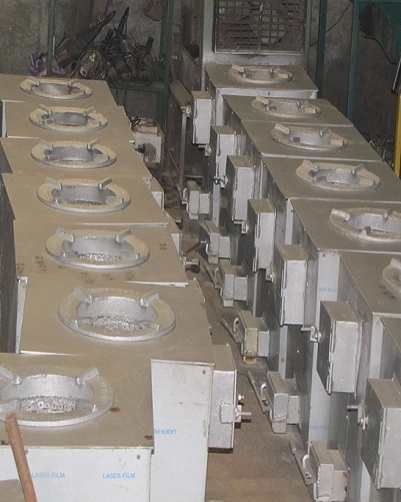 Being most experienced company in this segment our pellet burners are best in class, operation and lowest in price. NPB has fully auto pellet feed system and user has all the possible controls to operate the burner from 0% to 100% capacity. NPM does not required stoppage of operation for ash cleansing and can be operates for 24 hours continuously. NPB can be attached to temperature controllers for precise operation and best possible savings. 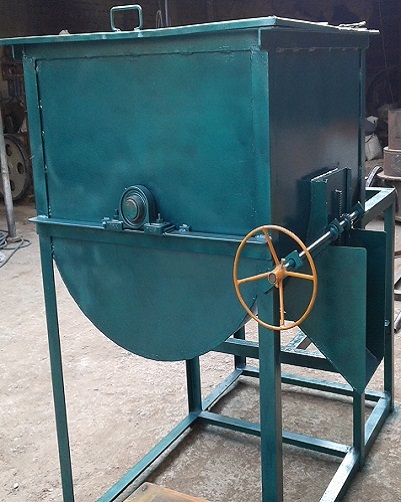 Pellet burner saves around 25%-35% as compare to Diesel/LPG/FO etc.